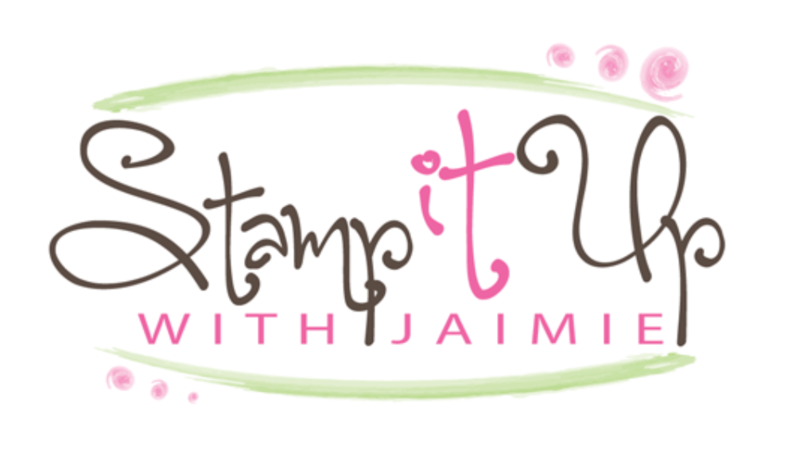 We are are doing another Stampin’ Up! Blog Hop with Demonstrators from all over the world to raise awareness and funds for research and services for those with autism. If you follow my blog, you know that this cause is very near and dear to me…I have a daughter with autism. And I was happy to jump in the hop when Maria Willis asked me to join! 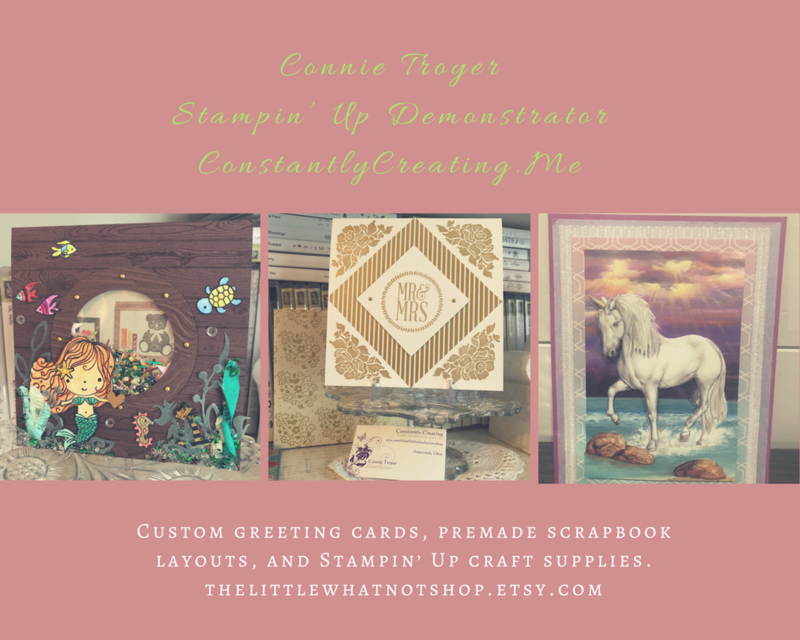 I started by adhering a panel from the Share What You Love Specialty DSP (available May 1) to a Crumb Cake card base with Multipurpose Liquid Glue. Then I embossed a panel of Sahara Sand card stock with the “paver” embossing die from the Pretty Park Framelits Dies (available June 1) and I snipped around the engraved area and adhered it with Multipurpose Liquid Glue to a panel of Balmy Blue card stock (available June 1). I cut a bench with one of the Pretty Park Framelits Dies from the Wood Textures DSP Stack and I adhered it to the Balmy Blue card stock panel with Multipurpose Liquid Glue. Then I stamped the flower pot and bird images from the Sitting Pretty photopolymer stamp set in Tuxedo Black Memento ink on a panel of Whisper White card stock. I stamped the “inside” pieces from the Sitting Pretty stamp set in Blueberry Bushel (available May 1) and Pear Pizzazz inks and colored the bird with Blueberry Bushel ink and a Blender Pen. I cut the two stamped images out with the coordinating Pretty Park Framelits Dies and adhered the flower pot with Stampin’ Dimensionals and the bird with a Glue Dot to the Balmy Blue panel. I wrapped a strand of Linen Thread around the panel twice and tied a bow, then adhered the layered panel to the card front with Multipurpose Liquid Glue. I stamped the sentiment from the Enjoy Life photopolymer stamp set (available June 1) Blueberry Bushel ink on a panel of Whispr White card stock, punched the end with the Banner Triple Punch, then adhered it with Stampin’ Dimenionals to the card front. I added some random Rhinestone Basic Jewels to finish the card front. I inked the bench image in Crumb Cake ink and the heart image in Blueberry Bushel ink, stamped them on scrap paper and then stamped them on a panel of Whisper White card stock inside the card. This hop was set up to raise awareness and much needed funding for autism research. The latest statistics show that 1 in 68 children is affected by autism. You can help by donating any amount to the Organization for Autism Research by clicking the button below. Thanks so much to everyone who donated for the last hop…I so appreciate it! Alright, on with the hop! Click the next button to move on to Carolynn Sanders blog. And if you get lost along the way, there is a full list of blog hoppers right under the next button. Thanks for stopping by! This entry was posted in For a Friend, For You and tagged autism awareness, CAS card, Enjoy Life, Sitting Pretty. Bookmark the permalink. ← Stampin’ Up! Detailed With Love Card for Stamp Ink Paper & Clearance Rack Update! What a perfect card and sentiment to promote autism acceptance and tolerance! Just lovely Amy!!! Your creations always inspire me, Amy! Beautiful card. Thanks for hopping with us. Perfect! Love the bench die cut from the wood paper. So smart. This is such a beautiful tranquil card! Love all the beautiful details! Lovely card! I love all the special touches you added to it! What a serene and peaceful card with just the perfect sentiment! Thanks for sharing Amy! I ordered this too……just arrived yesterday! This is so sweet!